A charming, inventive invitation is a crucial to the success of any well-planned party. An imaginative invitation immediately alerts guests to the fun that awaits  and lets them know that this isn’t just another stuffy formal affair, but instead a grand adventure. Opening an ingenious, handcrafted invitation which has been drawn up with humor, grace, style, your guests will immediately feel a full-body shiver of delight  thus beginning a state of happy anticipation which will last right up until the moment of the party! 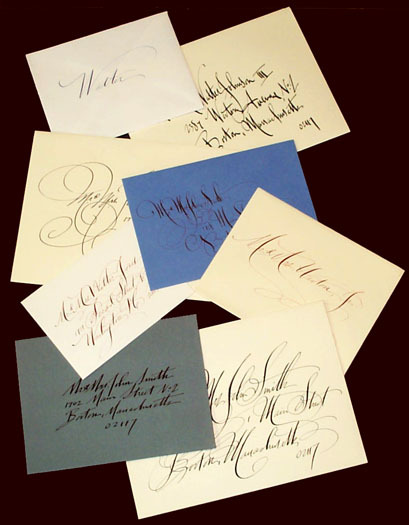 The best invitations call for a truly evocative calligraphy  not just run-of-the-mill fancy handwriting, but real old-fashioned penmanship that communicates with visual energy and enthusiasm. These days, handwriting which communicates with excitement and high style is nearly a lost art. People who receive invitations with handwriting of this sort immediately know they are being included in something fine, special and rare. 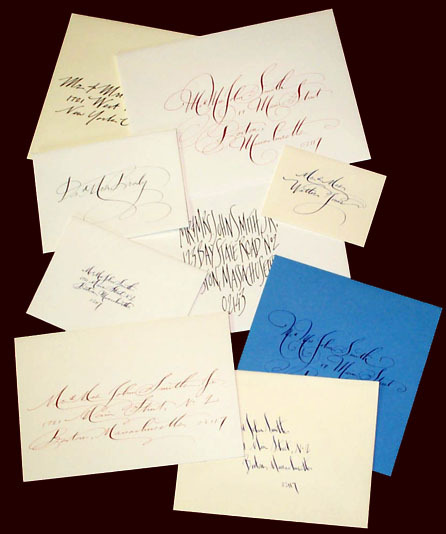 Click here to see a detailed description of my calligraphy services.